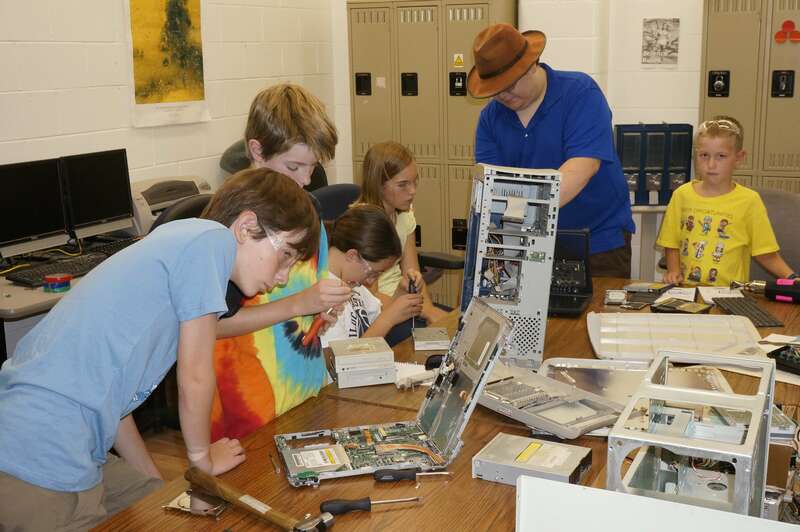 Come join Reuseum’s FREE drop-in deconstruction Lab! This family activity is suitable for kids ages 4+ and is a fun and creative way to spend part of a Saturday. Learn about recycled technology, what methods are used to refine it, and what we may do with parts gained from the process. Each participant will deconstruct some recycled technology and will have the opportunity to take insights from engineering, design, manufacturing, and other aspects of the pieces that are taken apart.